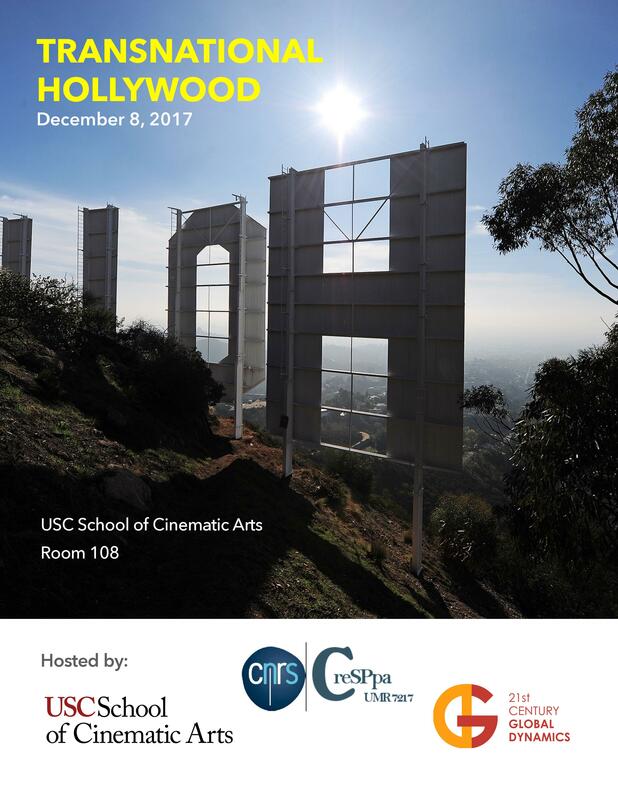 Transnational Hollywood is a collaborative gathering of film industry leaders and prominent scholars to discuss the transnational circulation of talent and motion picture content, and the making of international co-productions. Industry participants include: Bill Mechanic (Chairman and CEO, Pandemonium Films; former Chairman/CEO of Fox Filmed Entertainment), Adeline Monzier (US representative for UNIFRANCE, the organization that promotes French cinema outside France), John Ptak (Producer and former agent), Rena Ronson (Head of the Independent Film Group, United Talent Agency), Robert Townsend (Actor, writer, and producer). Additional participants to be confirmed. Scholars include: Michael Berry (Professor of Contemporary Chinese Cultural Studies, UCLA), Michael Curtin (Professor of Film and Media Studies, UCSB), Nitin Govil (Associate Professor of Cinema & Media Studies, USC), Jennifer Holt (Associate Professor of Film and Media Studies, UCSB), Denise Mann (Professor in the UCLA School of Theater, Film, and Television), Michael Renov (Professor of Critical Studies and Vice Dean for Academic Affairs, USC), Violaine Roussel (Professor of Sociology, University of Paris 8-CNRS/USC). The event is co-organized by Michael Renov (Professor and Vice Dean, University of Southern California), Michael Curtin (Mellichamp Professor, University of California, Santa Barbara), and Violaine Roussel (Professor at the University of Paris VIII & Affiliated faculty at USC). It is co-sponsored by the French National Agency for Scientific Research (CNRS), the UCSB Mellichamp Global Dynamics Initiative, and the USC School of Cinematic Arts.